The deep rooted laws of creation are based on the mythical religion of number. Dimension reveals the soul of an idea and is brought into form by axonometric projections. The XYZ Code is given its dimensional precision through this language of number. Feel the laws of creation! Activity 1 – your name in isometrics! Print the isometric grid paper (a type of axonometric drawing). Use three dimensional cubes to create the letters of your name. Draw directly on the grid paper or use another piece of paper and trace over it. Use upper or lower case letters to spell out your name. As shown in the example, shade the surfaces of the objects to increase the three dimensional quality. Continue drawing geometric and cubic forms. To increase complexity, subtract and add volumes to and from the original form. Using grid paper create more complex objects. Pick something from your house or class room that you would like to draw. It can be a pencil sharpener, a milk carton, a camera. Pick something that you can hold in your hand and put on your desktop while you draw. Start with the horizon line and one corner of your object. All “horizontal” lines will be at 30 degrees from the horizon line. All vertical lines will be at 90 degrees. Choose the corner or view that has the most detail. Measure each length and place that length on your paper either at as a 30 degree line or a vertical 90 degree line. Reveal your object on the blank page. Now shift your scale. Look at Google Earth for a view of your city. Be sure to check on 3D Building. See how the buildings are modeled. Draw an isometric view of a building in your city. You can position your view to 30 degrees from the horizon and get an isometric view! Look how the buildings in your city look like a tiny model. Can you draw an isometric of one of the buildings in your city? How about all the buildings in the downtown? Open GoogleSketchUp. It is easy to draw isometrics digitally. Watch a beginner’s video and see how shapes are constructed, “pulled into forms”. 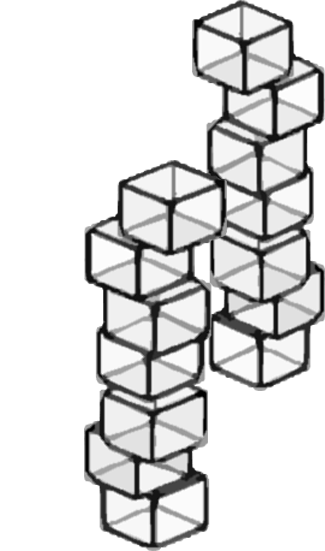 It is easy to create cubes from squares and rectangles and cylinders from circles. Once you can easily pull shapes up into forms, try selecting a ‘face’ of a form, drawing another shape and pushing or pulling that shape into or away from the face. Try to digitally recreate your object or the buildings you drafted in activities 3 and 4. 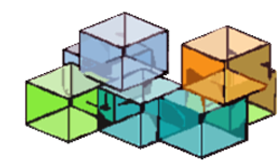 Isometric drawing is the actual representation of an object in reality. Perspective drawings and isometric drawings are the same type of drawings with the same scale. Shading isometric drawings gives them a greater 3-dimensional feel.